The notorious stage theory of Elisabeth Kübler-Ross, whereby one progresses from denial to rage through bargaining to depression and the eventual bliss of “acceptance,” hasn’t so far had much application in my case. In one way, I suppose, I have been “in denial” for some time, knowingly burning the candle at both ends and finding that it often gives a lovely light. But for precisely that reason, I can’t see myself smiting my brow with shock or hear myself whining about how it’s all so unfair: I have been taunting the Reaper into taking a free scythe in my direction and have now succumbed to something so predictable and banal that it bores even me. Rage would be beside the point for the same reason. Instead, I am badly oppressed by a gnawing sense of waste. I had real plans for my next decade and felt I’d worked hard enough to earn it. To the dumb question “Why me?” the cosmos barely bothers to return the reply: Why not? [Undergoing treatment for cancer] involves confronting one of the most appealing clichés in our language. You’ve heard it all right. People don’t have cancer: they are reported to be battling cancer. No well-wisher omits the combative image: You can beat this. It’s even in obituaries for cancer losers, as if one might reasonably say of someone that they died after a long and brave struggle with mortality. You don’t hear it about long-term sufferers from heart disease or kidney failure. Myself, I love the imagery of struggle. I sometimes wish I were suffering in a good cause, or risking my life for the good of others, instead of just being a gravely endangered patient. Allow me to inform you, though, that when you sit in a room with a set of other finalists, and kindly people bring a huge transparent bag of poison and plug it into your arm, and you either read or don’t read a book while the venom sack gradually empties itself into your system, the image of the ardent soldier or revolutionary is the very last one that will occur to you. You feel swamped with passivity and impotence: dissolving in powerlessness like a sugar lump in water. I have been where this man is. Not cancer, but a brain tumor just the same. I have sat in that "room full of finalists" and felt the passive impotence he describes. And I can't imagine having been there without knowing that the God who supremely suffered for us was there by my side in my suffering. So I will pray for this man, that his last words won't be those of a similarly famous atheist of his day, Bertrand Russell's father, who is reputed to have said as he died, "Good-bye my darlings, forever." "Belief in the divinity of Jesus of Nazareth and belief in the virtue of his teachings are not at all the same thing. Writing to John Adams in 1813, having taken his razor blade to the books of the New Testament and removed all “the artificial vestments in which they have been muffled by priests,” Thomas Jefferson said the 46-page residue contained “the most sublime and benevolent code of morals which has ever been offered to man.” Ernest Renan, in his pathbreaking “Life of Jesus” in 1863, also repudiated the idea that Jesus was the son of God while affirming the beauty of his teachings. In rather striking contrast, C. S. Lewis maintained in his classic statement “Mere Christianity”: “That is the one thing we must not say. A man who was merely a man and said the sort of things Jesus said would not be a great moral teacher. He would either be a lunatic — on the level with the man who says he is a poached egg — or else he would be the Devil of hell. You must make your choice. Either this man was, and is, the Son of God; or else a madman or something worse. As an admirer of Jefferson and Renan and a strong nonadmirer of Lewis, I am bound to say that Lewis is more honest here. Absent a direct line to the Almighty and a conviction that the last days are upon us, how is it “moral” to teach people to abandon their families, give up on thrift and husbandry and take to the stony roads? How is it moral to claim a monopoly on access to heaven, or to threaten waverers with everlasting fire, let alone to condemn fig trees and persuade devils to infest the bodies of pigs? Such a person if not divine would be a sorcerer and a fanatic." I'm disappointed to learn that Hitchens is a "strong nonadmirer" of C.S. Lewis. Despite their radically different perspectives on the God question, you'd think Hitchens might at least admire Lewis for his insight into human psychology (Screwtape! ), his imagination and creativity, his vast knowledge, and his undeniable wit. I'll bet Lewis would have enjoyed Hitchens immensely. It may be interesting to find out that Christopher Hitchens' younger brother, Peter Hitchens, is a devout Christian and author of the recently published book "The Rage Against God." While I'm not a big fan of reducing an author's arguments to their inner-psychological forces, I find this very interesting and it does seem that there is a lot going on. 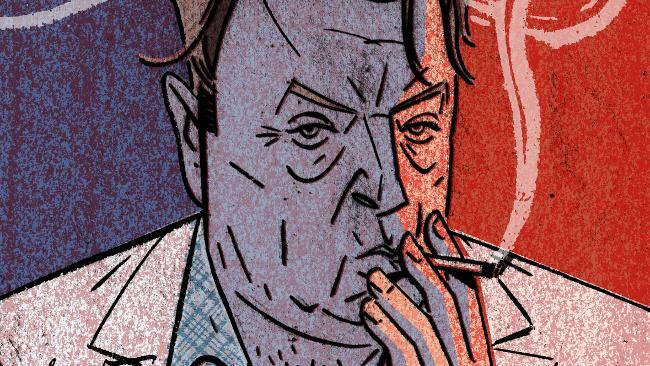 I've read a lot about (and by) the brothers Hitchens, and you're right – there's a lot going on there. They've long been engaged in a rather extreme sibling rivalry. Hitchens is absolutely right; Jesus did teach people to give up everything they owned and to abandon their families. Consider this, from Luke 14: "If anyone comes to me and does not hate his own father and mother and wife and children and brothers and sisters, yes, and even his own life, he cannot be my disciple." It would be great if one of you theologians would address the above comment from bls. I've always struggled terribly with that passage and would appreciate any insight you could give! I'm not sure I qualify as a "theologian," but I'll give a shot at answering the question for hte sake of continued discussion. As I read the passage in question, Jesus seems to provide an interpretation for what it means. Giving up of father, mother, etc. are the descriptive mark of being a disciple. One's family in Jesus' day is deeply tied into the contemporary topics of status, worth, and identity. Family determined who you were, what your place in society was, and continued legacy. It was so important that first century Jews were taught at a young age their entire family tree. So Jesus describes a radical break from an old thing into something new. The existential interpretation is valid: Jesus describes the death of the self and rebirth of the new. For me, this is a qualitative description of the life of faith, a constant death of the old and rebirth of the new. But what's most interesting about this section is found in verses 34-35. "Salt is good, but if it loses its saltiness, how can it be made salty again? It is fit neither for the soil nor for the manure pile; it is thrown out." Jesus categorizes what one must foresake as already lifeless or dead. Jesus peers through the illusion of life reveals that it all bears the curse of death and is of no value towards one's membership in the kingdom. The kingdom comes to those who renounce their claim to their intrinsic or extrinsic worth. To tie it into Hitchens' comments (via Ron), I think he does rightly see how little worth Jesus' teaching are toward to building of a great society but he rronglysays this because what Jesus demands seems ridiculous to common ethical standards, missing altogether their subversive nature.